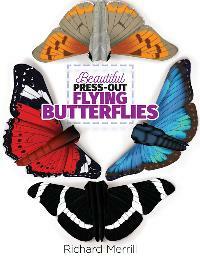 Prize: Learn about and fly a kaleidoscope of butterflies with Beautiful Press-Out Flying Butterflies by Richard Merrill! There are 24 bright and striking butterflies in total. What you must do to enter: Follow blog. Statistics: This contest was opened by 51 and entered by 1 ContestChest.com members. 2% of those who opened the contest, entered it.